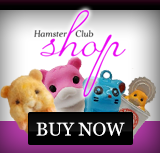 Hamster Club :: Hamster Shop Launched! We are very happy to announce the launch of our Hamster Shop. In our hamster shop you will find many hamster gifts including hamster charms, hamster keychains, hamster rings, hamster figurines, hamster rubbers, hamster coins, hamster collectibles, hamster pencils, hamster letter sets and much more! Hamster Gifts are constantly being added to the shop, so check out the Hamster Shop regularly! 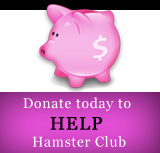 Click here to check out the Hamster Shop.